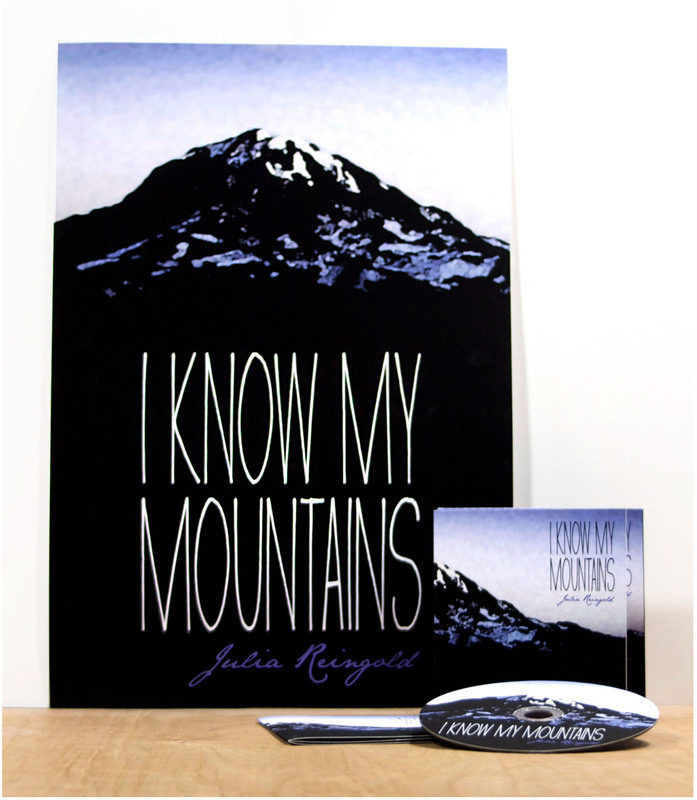 I Know My Mountains is an EP written and performed by Julia Reingold, a young musician from Olympia, Washington. 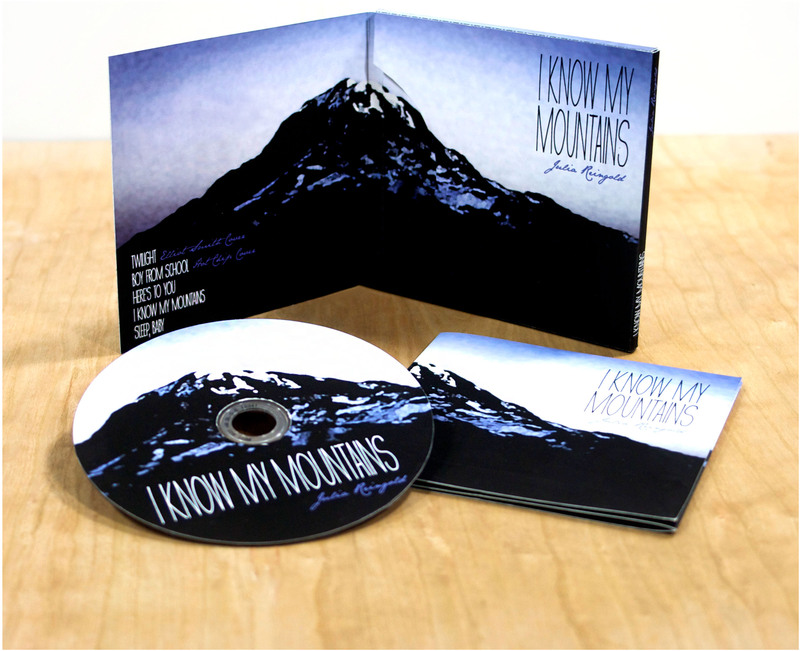 The original watercolor artwork was influenced by a photograph of Mt. Rainier near Seattle, which inspired the title of the EP. 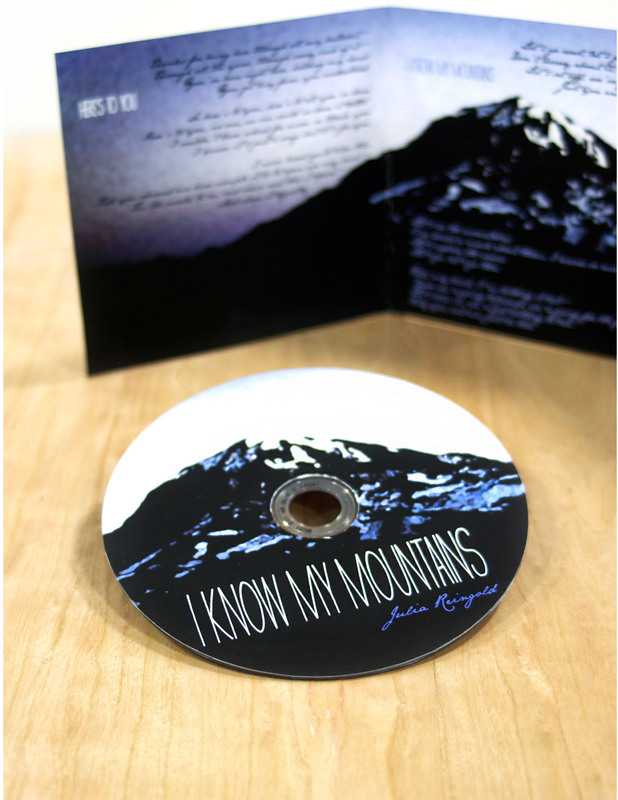 The pairing of the artwork and handwritten typography reflects the artist’s style.